Is Your Kitchen Ready For Summer? 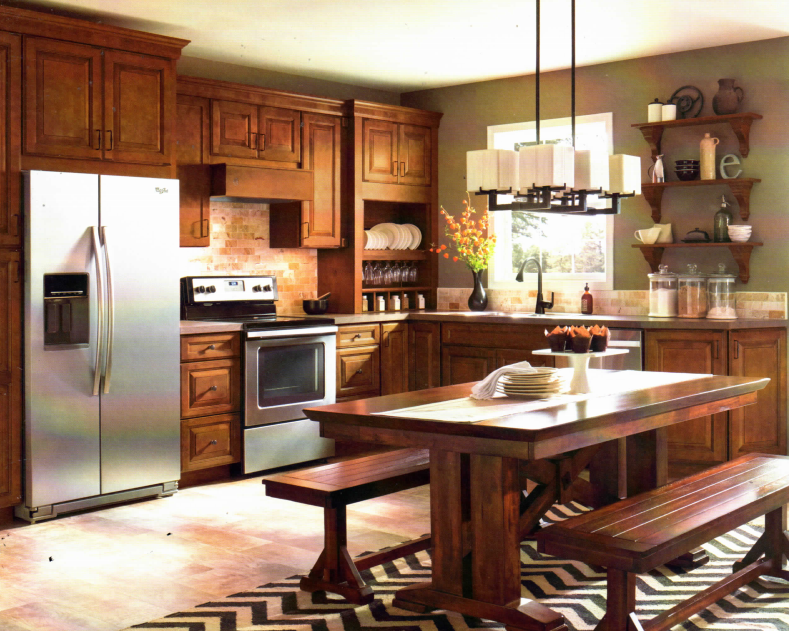 With warmer days ahead, now is the time to get your kitchen ready for summer! Refreshing your refrigerator and cleaning out your pantry shelves is a great way to begin creating a balanced seasonal eating plan for you and your family. The first step to making over your kitchen is clearing out old and outdated packaged goods. Check the “best by” dates on your condiments, cheeses, jarred items and other foods and discard anything expired or questionable. Keep in mind that unopened items typically last much longer than those that have been opened even if kept well sealed. Use labeled air-tight containers to store dry goods like flour, nuts and dried beans. Fill a large grocery bag with unopened, unwanted food items that you can donate to your local food pantry. Once you have organized and donated your kitchen contents, you will have space to stock up on seasonal produce and necessities. To save time and prevent extra trips to the grocery store, keep on hand nonperishable staple foods such as canned tuna, pasta, olive oil and grains. Be sure to keep older items toward the front of the shelves while storing newer products in the back. Familiarize yourself with seasonal foods to add into your daily diet. Although many fruits and vegetables are available year-round, certain ones are now in peak season, which means both price and flavor are at their best. Right now, peas, asparagus, corn, berries, lettuce, cherries and apricots are in season, among many others. Implementing weekly meal planning is a time-saving strategy to help you grocery shop, cook and clean up for multiple meals at one time. First, stock up on different sized food storage containers to portion out meals made ahead of time. Next, decide on meals and recipes to prepare for each day of the week. For many people, weekends are a convenient time to do meal planning. With a grocery list in hand, load up on the ingredients you need for your meals. Finally, set aside a bit of time to prepare meals for the week, which may include chopping and steaming veggies, roasting a whole chicken, steaming a batch of brown rice in a rice cooker, and hard-boiling some eggs to add to salads. • Place a bowl of fresh fruit on the counter or table to encourage meeting your daily needs while adding a pop of color to the room. • Preportion snack-sized bags of nuts, sliced veggies, edamame and other snacks to easily grab and go. • To encourage mindful eating, take packaged foods like cereal or pretzels off countertops and store in decorative bins or baskets to reduce the temptation to graze between meals. • Try out some new recipes that use seasonal produce favorites like a sweet corn succotash, grilled artichokes or a fresh berry dessert. • And, if you are looking for beverages that help meet your daily fluid requirements while controlling calories, consider sparkling water, 90-calorie mini cans of soda, iced tea and flavored water.